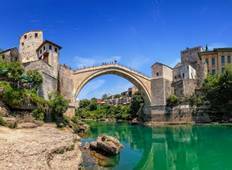 Find a Historical trip that explores Balkans. There are 226 tours to choose from, that range in length from 3 days up to 26 days. The most popular month for these tours is September, which has the most tour departures. "What can I say, the Balkans tour was absolutely wonderful, and so much more, than..."
"Bus was dirty, not all guides spoke english well enough, some hotel rooms poor, and..."
"The tour of the Belgrade and the Balkans is exhausting and leaves little time for..."
"There are endless reasons to visit Kosovo. Beatiful architecture, friendly locals..."
"We embarked on a amazing trip to Transylvania from Bucharest. 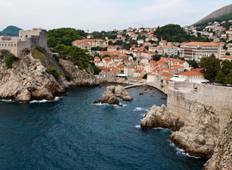 We had no expectations..."
"Good insight into the former Yugoslavia"
"An amazing tour through amazing countries. There are so many famous sites it's hard..."
"Martin stressed over and over he was just the driver. The first night when we met..."